Cinco de Mayo (Spanish for “Fifth of May”) is an annual celebration held on May 5. It commemorate the Mexican Army’s difficult victory over the French Empire at the Battle of Puebla, on May 5, 1862, under the leadership of General Ignacio Zaragoza. Cinco de Mayo has its roots in the Second French intervention in Mexico, which took place in the aftermath of the 1846–48 Mexican–American War and the 1858–61 Reform War. The Reform War was a civil war that pitted Liberals (who believed in separation of church and state, and freedom of religion) against Conservatives (who favored a tight bond between the Catholic Church and the Mexican state). These wars nearly bankrupted the Mexican Treasury. On July 17, 1861, Mexican President Benito Juárez issued a moratorium in which all foreign debt payments would be suspended for two years. In response, Britain, France, and Spain sent naval forces to Veracruz to demand reimbursement. Britain and Spain negotiated with Mexico and withdrew, but France, at the time ruled by Napoleon III, decided to use the opportunity to establish an empire in Mexico that would favor French interests, the Second Mexican Empire. The empire was part of an envisioned “Latin America” (term used to imply cultural kinship of the region with France) that would rebuild French influence in the American continent and exclude Anglophone American territories. The Battle of Puebla started Late in 1861, after a well-armed French fleet invaded Veracruz, landing a large French force and driving President Juárez and his government into retreat. Moving on from Veracruz towards Mexico City, the French army encountered heavy resistance from the Mexicans close to Puebla, at the Mexican forts of Loreto and Guadalupe.The French army attacked the poorly equipped and much smaller Mexican army which On May 5, 1862, decisively defeated the French army The victory represented a significant morale boost to the Mexican army and the Mexican people at large and helped establish a sense of national unity and patriotism. The Mexican victory, however, was short-lived. A year later, with 30,000 troops, the French were able to defeat the Mexican army, capture Mexico City, and install Emperor Maximilian I as ruler of Mexico. The French victory was itself short-lived, lasting only three years, from 1864 to 1867. By 1865, “with the American Civil War now over, the U.S. began to provide more political and military assistance to Mexico to expel the French”. Upon the conclusion of the American Civil War, Napoleon III, facing a persistent Mexican guerilla resistance, the threat of war with Prussia, and “the prospect of a serious scrap with the United States”, retreated from Mexico during 1866. The Mexicans recaptured Mexico City, and Maximilian I was apprehended and executed, along with his Mexican generals Miguel Miramón and Tomás Mejía Camacho in Cerro de las Campanas, Querétaro On June 5, 1867, Benito Juárez finally entered Mexico City where he installed a new government and reorganized his administration. The Battle of Puebla was significant, both nationally and internationally, because the considerably outnumbered, Mexican Army managed to defeat a much-better-equipped French army which had not been defeated for almost 50 years. Since the Battle of Puebla, no country in the Americas has subsequently been invaded by any other European military force. The United States’ destiny would have also been very different Had Mexico not defeated the French in Puebla on May 5, 1862, because France would have gone to the aid of the Confederacy in the U.S. Civil War. In the United States. the date has become associated with the celebration of Mexican-American culture. In Mexico, the commemoration of the battle continues to be mostly ceremonial, such as through military parades. According to a paper published by the UCLA Center for the Study of Latino Health and Culture about the origin of the observance of Cinco de Mayo in the United States, the modern American focus on that day first started in California in 1863 in response to the resistance to French rule in Mexico. Far up in the gold country town of Columbia (now Columbia State Park) Mexican miners were so overjoyed at the news that they spontaneously fired off rifle shots and fireworks, sang patriotic songs and made impromptu speeches. The holiday, has been celebrated in California continuously since 1863. However Cinco de Mayo started gaining popularity in 1940s America during the rise of the Chicano Movement and crossed over from California into the rest of the United States in the 1950s and 1960s. During the 1980’s beer companies also began promoting the Day and it grew in popularity and evolved into a celebration of Mexican culture and heritage, first in areas with large Mexican-American populations, like Los Angeles, Chicago, Houston and San Jose. In the Journal of American Culture it was reported that there were more than 120 official US celebrations of Cinco de Mayo in 21 different states and Los Angeles’ Fiesta Broadway has been billed as the largest Cinco de Mayo celebration in the world. On May 9, 1862, President Juárez declared that the anniversary of the Battle of Puebla would be a national holiday regarded as “Battle of Puebla Day” or “Battle of Cinco de Mayo”. In 2005, the United States Congress issued a concurrent resolution calling on the President of the United States to issue a proclamation calling upon the people of the United States to observe Cinco de Mayo with appropriate ceremonies and activities, including displaying Cinco de Mayo banners, educating people about its historical significance and Highlighting Mexican culture, music and regional dancing Such as baile folklórico and mariachi demonstrations. Although the commemoration of the battle is not observed as a national holiday in Mexico, historical reenactments, parades, and meals take place in Puebla to commemorate the battle and Parade participants dress as French and Mexican soldiers, The day is an official holiday in the State of Puebla, where the Battle took place, and the neighboring State of Veracruz. Every year the city also hosts the Festival Internacional de Puebla, and the Festival Internacional del Mole, which gathers national and international artists, traditional musicians and dance. In Mexico City, military commemoration is occasionally held at the Campo Marte. A street, Avenida Cinco de Mayo, in the Historic Center of Mexico City was named after the battle in 1862 by Benito Juárez. Events tied to Cinco de Mayo also occur outside Mexico and the United States. As in the United States, celebrations elsewhere also emphasize Mexican cuisine, culture and music. For example, Windsor, Ontario, Canada, holds a “Cinco de Mayo Street Festival” and many Canadian pubs play Mexican music and serve Mexican food and drink. A sky-diving club near Vancouver also holds a Cinco de Mayo skydiving event. In the Cayman Islands, in the Caribbean, there is an annual Cinco de Mayo air guitar competition, and at Montego Bay, Jamaica, there is a Cinco de Mayo celebration. Brisbane, Queensland, Australia, holds an annual Mexican Festival to honor the day, and celebrations are also held in London, New Zealand, Cape Town, South Africa, Lagos, Nigeria and Paris. A celebration of Latin American culture also takes place in Osaka and Tokyo, Japan. The first episode of Monty Python’s Flying Circus aired on BBC One on the 5th October 1969 and there were 45 Episodes spread over four seasons until December 1974 on BBC Television. The comedy was often pointedly intellectual, with numerous erudite references to philosophers and literary figures. The series followed and elaborated upon the style used by Spike Milligan in his groundbreaking series Q5. The team intended their humour to be impossible to categorise, and succeeded so completely that the adjective “Pythonesque” was invented to define it.The shows were composed of surreality, risqué or innuendo-laden humour, sight gags and observational sketches without punchlines. They also featured Terry Gilliam’s wonderful and imaginatively bizarre animations, often sequenced or merged with live action. Broadcast by the BBC. 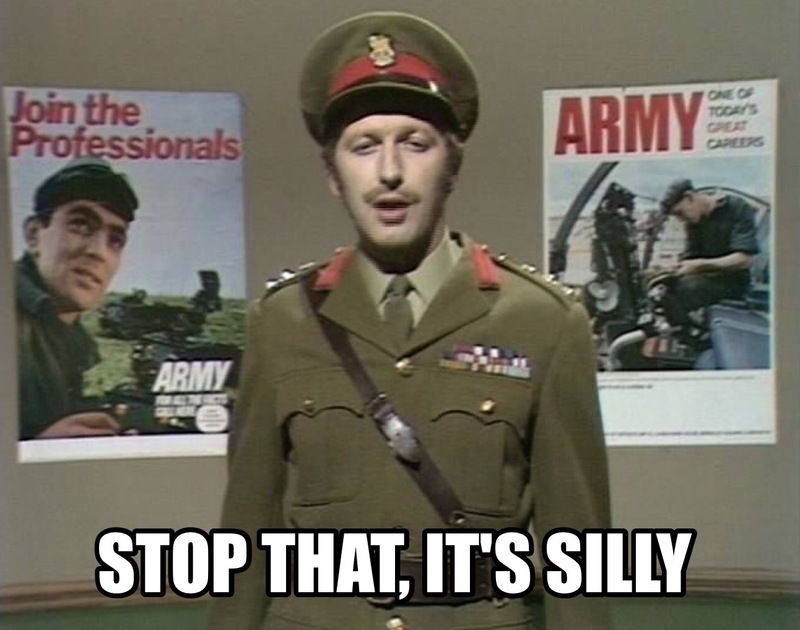 with 45 episodes airing over four series from 1969 to 1974, The show often targets the idiosyncrasies of British life, especially that of professionals, and is at times politically charged. Over the years many of the sketches have attained classic status including The Lumberjack Song, Ministry of Silly Walks, Upper class twit of the Year, Spam song, The Dead Parrot Sketch and Bicycle Repair Man. 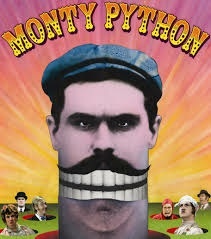 Graham Chapman also played the lead roles in two of the Python’s Films – Monty Python and The Holy Grail, Life of Brian. Eric Idle also appeared in the the children’s series Do Not Adjust Your Set, alongside Terry Jones, Michael Palin and Terry Gilliam’s surreal animations which linked the show’s sketches together, and defined Monty Python’s visual language in other media (such as LP and book covers, and the title sequences of their films).